Kudos to everybody's favourite forgetful fish, as Ellen DeGeneres has gotten a straight answer out of Robert Downey Jr. where countless others have failed. 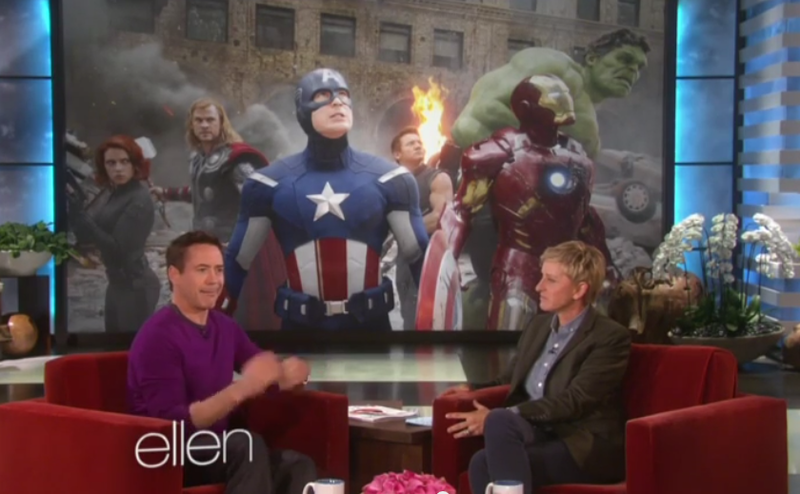 In this video you can see Downey saying, very simply, very plainly, that there will be an Iron Man 4. As you'll have seen, he noted that there are ongoing negotiations. It's just going to be a question of how much money his agent can convince Marvel to hand over. Anybody want to place a bet, now, as to how much he'll get away with? When will Iron Man 4 be released? Why, maybe between The Avengers 3 and whatever that mysterious Uber Marvel film that will follow it might be, don't you think? Maybe we'll get some hard answers out of New York Comic Con. Probably we won't.